Total duration of this St. Petersburg tour is 18.5 hours. Times and itinerary may vary depending on your cruise schedule. 7:30am - meet your guide at the St Petersburg sea passenger port terminal next to the Immigration control. 7:30-9:30am - St. Petersburg overview city tour. 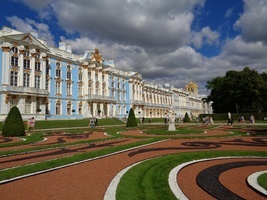 9:30-10:30am - Drive to Pushkin passing through the residential and suburban areas of St. Petersburg. 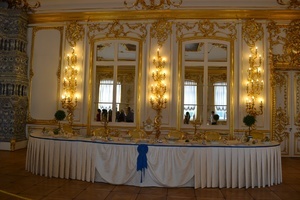 10:30am-12:30pm - Tour the famous Catherine Palace and its the legendary Amber Room. 12:30-1:00pm - lunch time (not included). 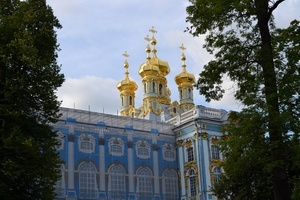 1:00-2:00pm - Continue to Peterhof, passing by the summer houses (dachas) of the local residents. 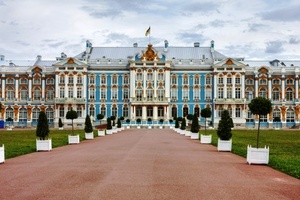 2:00-4:00pm - Tour Peterhof Lower and Upper fountain Park. Enjoy the spectacular views on the Grand Cascade with its shining gilded statues and Grand Peterhof Palace, learn about the unique fountain system operating without pumps, enjoy "trick fountains" invented by Peter the Great to entertain his guests, stroll along the Gulf of Finland' to admire magnificent sea views and St. Petersburg panorama. 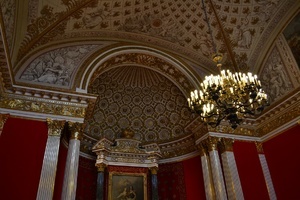 Visit the Grand Palace of Peterhoff, see the royal gala halls and private living rooms, Oak Study of Peter the Great. 5:30pm - back onboard the cruise ship. 12:00-12:30pm - lunch time (not included). 12:30-2:30pm – City sightseeing tour (see the Old city, Nevsky Prospect, Square of Arts, the Winter Palace Square, Bronze Horseman, Strelka, stop at St. Isaac's Square, visit inside Peter & Paul Fortress with Cathedral (the city's birth place and the burial place of the Romanov royal family) and Spilled Blood Church. 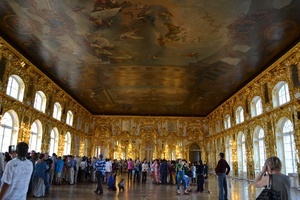 3:00-4:30pm – Visit to the Yusupovs' Palace. Tour the Yusupovs' Palace, home of the wealthy Russian noble family, famous for its lavish decorations, art collection and as a nurder scene of the notorious Grigoriy Rasputin. Rivers and canals allows you to see the city from a different angle. 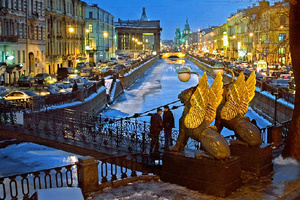 St. Petersburg inherited many features of Venice and Amsterdam. Its similar location on islands and winding rivers determined its architectural look: it boasts of more than 400 bridges, curving granite embankments, graceful palaces of nobility and royalty overlooking waterways. 5:00pm - back onboard the cruise ship.